« Simple and Adorable HALLOWEEN Goodies For Your Next Halloween Party! My friend Maureen, is a party genius! 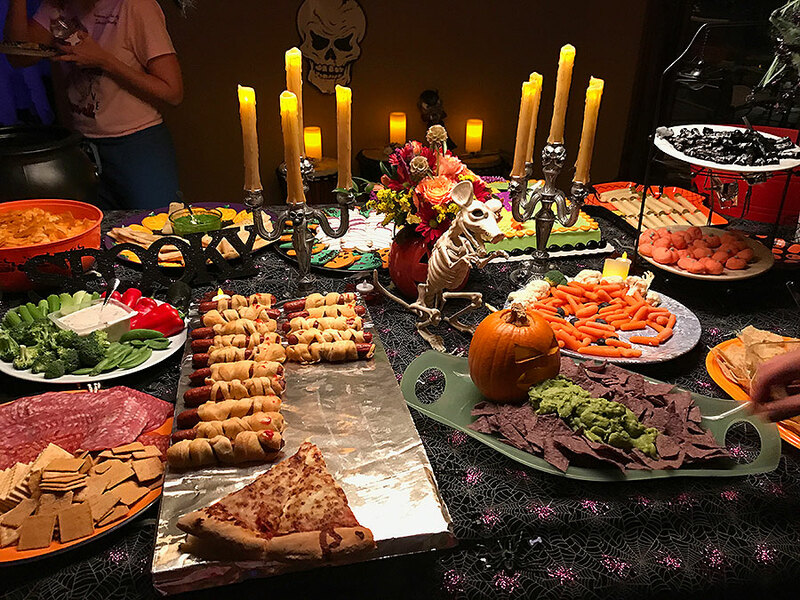 She throws many beautiful parties for all sorts of occasions, but her Halloween parties are simply SPOOCTACULAR!!! Unfortunately, I arrived a bit late to photograph the buffet before other guests arrived, so you are seeing things which have already been enjoyed. But I think you can get some fun ideas and inspirations if you are planning your own Halloween party. One of the things that I loved is she set-up this entire spread on her pool table. This gave her plenty of room to have a large buffet without having to put two tables together or take up extra room with more set-up. I think Maureen included almost every Halloween recipe. 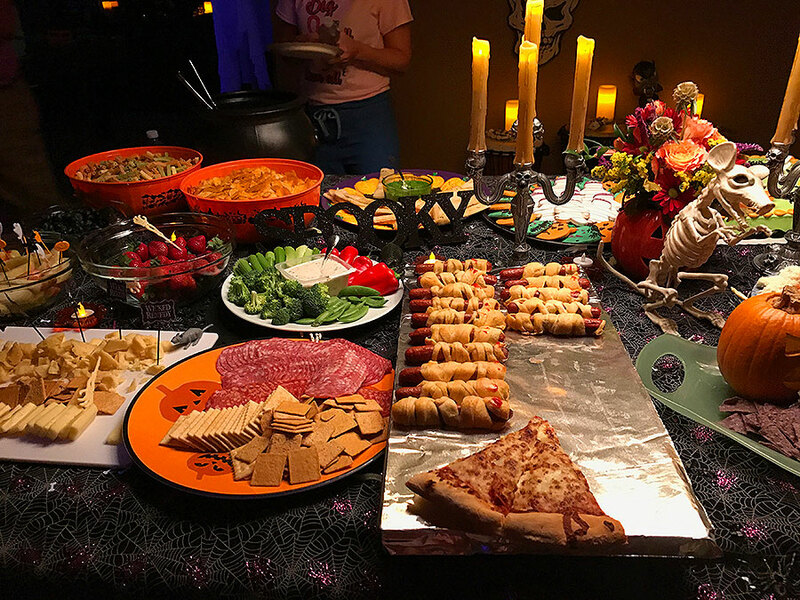 The puking pumpkin, hot dog wrapped mummies, witchs’ fingers, pumpkins, skeletons, green dips, white dips, cakes, chips, pizza… I can go on and on! Kudos to Maureen for all her fun ideas. It was a real treat for everyone who attended! 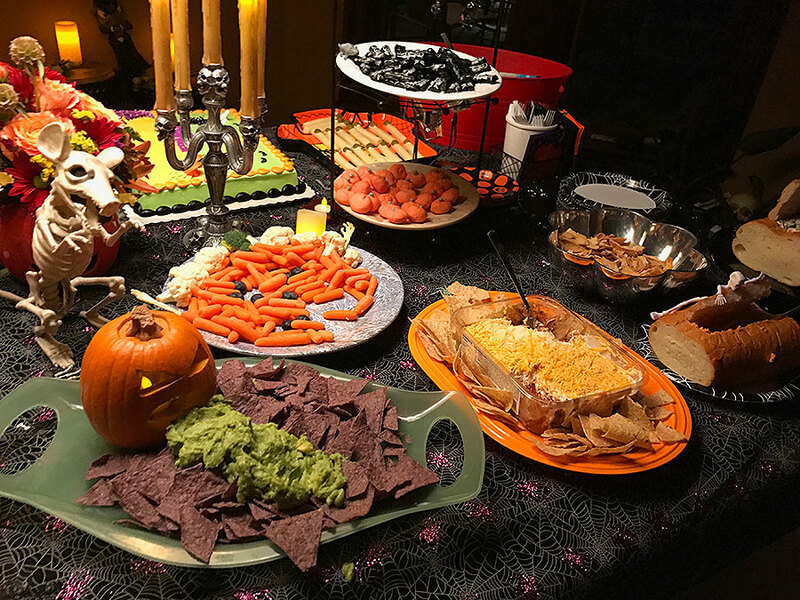 This entry was posted on Tuesday, October 23rd, 2018 at 4:16 pm	and is filed under 31 Days of Halloween, Appetizer Platters, Appetizers, Halloween, Parties, Party Hacks.